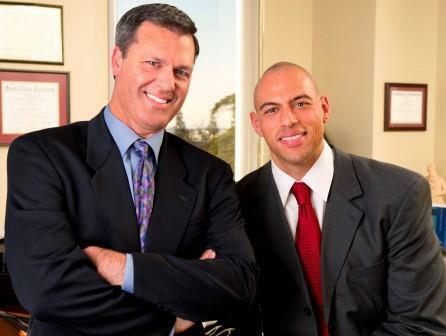 Rob Bohn and Ram Fletcher have teamed up to form one of the most formidable personal injury firms in California. Bohn & Fletcher, LLP is a boutique personal injury law firm with a laser focus on serious injury and wrongful death cases. The firm specializes in these cases to provide injured people and the families of those who have been killed with some of the best representation available in California. The firm handles catastrophic injury cases involving large insurance companies and corporations, demanding justice for our clients by taking cases to trial if a fair pre-trial settlement cannot be negotiated. All clients are given direct partner access and their cases are not passed down to lower level lawyers or associates. Providing excellent client service while at the same time achieving fantastic results is at the core of the firm's philosophy. The attorneys have dedicated their lives to helping people on a case-by-case basis, as well as advocating for safety and justice for the general public. They are leaders in their field, having received the highest recognition from clients, attorneys, judges and professional organizations. Over their decades of experience, the attorneys have a proven history of obtaining outstanding jury verdicts and pre-trial settlements. If you need help Bohn & Fletcher is the firm to call. The attorneys at Bohn & Fletcher have dedicated their lives to helping seriously injured people and the families of those killed by others. They are dedicated to their clients, committed to delivering justice and respected by peers and opponents. Bohn & Fletcher is known by its core values: Experience; Dedication; Integrity; Leadership; Client Service and Outstanding Results. These are not just words, but a true reputation built on the foundation of demonstrated professional excellence. The attorneys and staff at Bohn & Fletcher are simply some of the very best in northern California. B&F is a real, local Bay Area firm with one office that has been based in San Jose for decades. The people at B&F invest themselves in their clients' cases and lives to achieve the best result possible. Clients are not treated as mere files in the office, but real people who need help, deserve respect and are our partners in achieving justice. Bohn & Fletcher attorneys fight hard and passionately represent their clients. When trial is necessary, the firm has the experience and resources necessary to win. The attorneys try their clients' cases themselves, rather than referring it to other counsel when the case is at its most critical stage, as many other so-called "litigation" firms do. Unlike some law offices with a general practice that might include some personal injury work among other practice areas, B&F is a boutique firm focusing its practice on quality serious injury and death cases. B&F is not a "mill" style firm that advertises on TV, buses and billboards to get a high volume of cases to "turn and burn" for quick settlements at discounted amounts. We limit the number of cases we take and work hard on them--taking them to trial if necessary-- to provide the highest quality representation and achieve the best recovery for each case. At B&F excellent client service is to be expected. All cases are handled by a firm partner rather than being passed down to a new lawyer trying to gain experience with your case. Clients will always have direct access to the attorney handling their case to answer any questions they have, receive case updates and ensure they are involved in the progress of their case. If you have a serious injury or wrongful death case, Bohn & Fletcher is the firm you want fighting for you. They are leaders in their field, having received the highest recognition from clients, attorneys, judges and professional organizations. Over their decades of experience, the attorneys have a proven history of obtaining outstanding jury verdicts and pre-trial settlements. If you need help, contact Bohn & Fletcher today. Our firm represents seriously injured people and families of people killed by others because we feel called to help those most in need. We believe in equal justice for all and in making our communities safer by holding those responsible for harming our clients accountable. We are proud to provide excellent representation to people who might otherwise be denied fair compensation without attorneys capable of fighting against powerful companies, individuals and their lawyers. Our lawyers did not go to law school and pass the bar to work for big companies or corporate law firms. We went because we were committed to making positive differences in the lives of others. We only represent real people who have been injured as a result of someone else's wrongdoing. Our firm never represents parties accused of harming others, whether they are individuals, businesses or insurance companies. We value people and relationships and strive to make the world a better place person by person in some instances, and by fighting to change laws in Sacramento or Washington in others. Our commitment to justice means that we offer excellent legal services to everyone, regardless of their wealth or societal status. We are "believers." We believe in our calling to be advocates for people and that everyone deserves attorneys with the highest standards for professionalism, integrity and dedication. This is why we do not have a "general practice" where personal injury cases are just one of several practice areas. It is also why we do not run a "mill" style practice where a firm advertises on television, buses and billboards to get a high volume of cases in the hopes of obtaining quick settlements at less than optimal value. Whereas other firms seem more interested in being effective advertisers only to sell their clients short with empty promises, we specialize in being lawyers capable of delivering outstanding results to our injured clients, even if that means a jury trial. When we take case we invest ourselves, our time, our abilities, our emotions, our experience, our training, our reputation and our money into our clients and their cause. We believe that is what our clients deserve and the standard to which all those who handle serious injury cases should be held. The attorneys at Bohn & Fletcher offer a rare mix of experience, dedication, creativity and client service. Unlike many other attorneys that prefer easy cases or are fearful of going to trial, B&F attorneys are prepared to do the hard work that is necessary to deliver the best results for our clients. Rob Bohn grew up the son of a prominent San Jose personal injury lawyer. It's in his blood. In college, Rob studied psychology because he was interested in people, how they think, how they feel, and how they work. He was interested in a career helping and counseling people. He realized he could use this background, knowledge and interest in personal injury law, a field with which he was already familiar having worked in law firms during summers past. Rob had the good fortune of being trained and mentored by one of the foremost personal injury lawyers in San Jose (his father), learning best practices on the one hand and from others' mistakes on the other. He has routinely been able to find paths to significant recoveries in cases other lawyers have rejected. He has a creative and sophisticated legal mind. He handled his own cases from the start of his career and has done so ever since, now having successfully represented hundreds of clients. Rob has proposed bills taken up for consideration by the State of California and has testified in Sacramento for bills intended to help people injured or killed by others. Rob has also held leadership positions in the law having been President of the Santa Clara County Trial Lawyers Association and having served on the state trial lawyers board of governors for years. Ultimately, Rob earned his stellar reputation by achieving incredible recoveries resulting in him being recognized as one of the best by his peers, judges and many organizations within the legal profession. 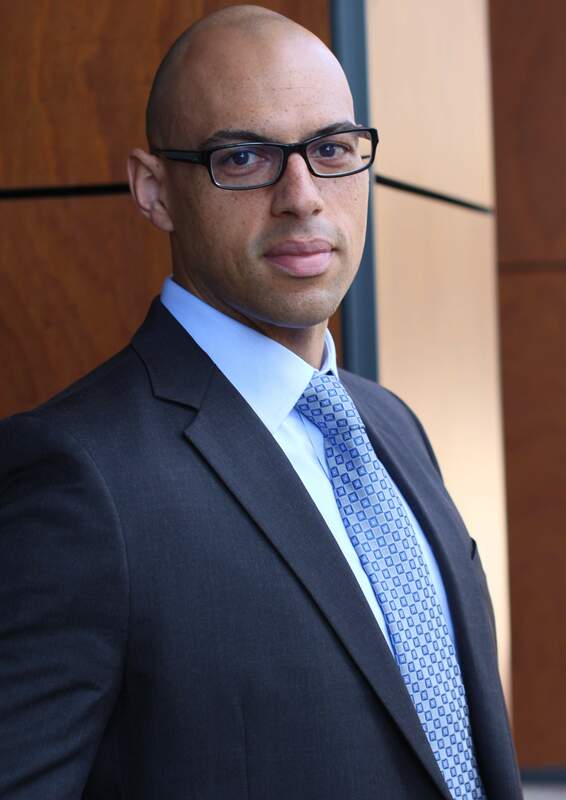 Ram Fletcher chose to become a personal injury lawyer to promote justice and help those in need. Having been educated in the Jesuit tradition, being of service to others and committed to doing justice is a central aspect of his life's mission. Through his passion for service, especially on behalf of those who are considered "underdogs," Ram has distinguished himself in his practice by giving the best he has to offer to every client. A natural competitor and athlete, Ram welcomes tough challenges and is passionate about winning. As a result, he has achieved results in cases most lawyers will never obtain. Ram has recovered tens of millions of dollars in wrongful death and serious injury cases, including one of the largest wrongful death verdicts in California of over $45 Million. Ram's success has earned respect from his peers, judges and others within the legal profession who recognize him as one of the top lawyers in northern California. Ram has served as the President of the Santa Clara County Trial Lawyers association, serves as a pro tempore judge for the Santa Clara County Superior Court and has served on various Santa Clara County Bar Association committees. Ram's skills, keen legal mind and true dedication to his clients have rocketed him to the top of his profession. Clients can be easily fooled by what lawyers put in commercials and on websites. Despite what you might see in misleading advertisements, not all personal injury law firms have what it takes to win, and win big. Here are five ways Bohn & Fletcher separates itself from the competition: 1. The B&F partners are two of the best personal injury lawyers in California, recognized by peers, judges, opponents and professional organizations as having the highest ratings for professionalism, legal expertise and ethics. 2. B&F has the experience, resources and tenacity to handle cases against powerful, well-financed corporations and insurance companies. Whereas some firms avoid battles against strong opposition, B&F is ready and willing to fight for our clients against anyone. 3. The attorneys at B&F are proven trial attorneys, not settlement artists who talk tough but in reality accept low-ball settlements to avoid the cost and effort of trial. B&F is not a "mill" firm that takes any case just to settle it as quickly as possible to generate firm revenue. Clients can expect that if a fair pre-trial settlement offer is not made, the firm will invest in their case and fight until justice is done. Because of the firm's reputation with insurance companies and defense attorneys for successfully trying cases, clients often receive excellent settlement offers. 4. B&F prides itself on providing superior client service. Every client has direct access to their attorney and their case will be handled by an experienced partner, not a new lawyer, paralegal or secretary. B&F truly cares about the clients. Attorneys develop respectful relationships with clients and regularly communicate with them to ensure they remain informed and involved in their case. This partnership and commitment to client service leads to better case outcomes. 5. B&F has a proven history of outstanding results. While some firms may have an occasional large case, B&F routinely obtains six, seven and eight figure recoveries. Often these results are achieved in cases other attorneys declined. In short, B&F does what many other lawyers cannot or will not. Rob Bohn grew up the son of a prominent San Jose personal injury lawyer. It's in his blood. In college, Rob studied psychology because he was interested in people, how they think, how they feel, and how they work. He was interested in a career helping and counseling people. He realized he could use this background, knowledge and interest in personal injury law, a field with which he was already familiar having worked in law firms during summers past. Rob had the good fortune of being trained and mentored by one of the foremost personal injury lawyers in San Jose (his father), learning best practices on the one hand and from others' mistakes on the other. He has routinely been able to find paths to significant recoveries in cases other lawyers have rejected. He has a creative and sophisticated legal mind. He handled his own cases from the start of his career and has done so ever since, now having successfully represented hundreds of clients. Rob has proposed bills taken up for consideration by the State of California and has testified in Sacramento for bills intended to help people injured or killed by others. Rob has also held leadership positions in the law having been President of the Santa Clara County Trial Lawyers Association and having served on the state trial lawyers board of governors for years. Ultimately, Rob earned his stellar reputation by achieving incredible recoveries resulting in him being recognized as one of the best by his peers, judges and many organizations within the legal profession. From 2013 to 2015, Ram was proud to be selected as a Northern California Rising Star by Super Lawyers, a distinction awarded to less than three percent of eligible attorneys. In 2016 he was selected for inclusion on the list of Northern California Super Lawyers. He was also invited and recognized as a member of the National Trial Lawyers Top 100 Trial Lawyers for Northern California in 2015. In 2015, Ram was further honored with membership in the prestigious Million Dollar Advocates Forum. In 2017 Ram became a Fellow with Litigation Counsel of America, an honor limited to only 3,500 attorneys nationwide (less than one half of one percent). He was also admitted as a member of The National Association of Distinguished Counsel Top One Percent in 2017. Ram frequently lectures at Santa Clara University where he often volunteers as a judge for moot court sessions held by the Advocacy program at the law school. In his free time, Ram enjoys sports, listening to music and reading philosophy.